Why Is That Dinosaur Holding a Vacuum? An experiment is taking contemporary art where it does not normally go, “Why Is That Dinosaur Holding a Vacuum & Other Stories from the World of Collage” is an evening of stories about contemporary collage. 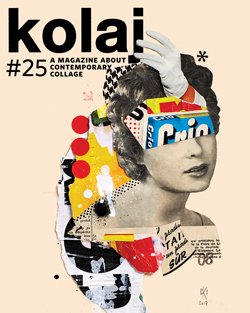 Kolaj Fest New Orleans is a multi-day festival and symposium about contemporary collage and its role in art, culture, and society, July 12-15, 2018. Visit the website to learn more, see an overview of the program, and register to attend. The evening is hosted by Mr Hojangles, a New Orleans bon vivant who loves microphones, crystals, and asking awkward questions. Marie Conigliaro’s journey to collage involves attending live studio tapings of Maury & Jerry Springer, training for a concealed gun permit; and being an extra in Ninja Zombies. 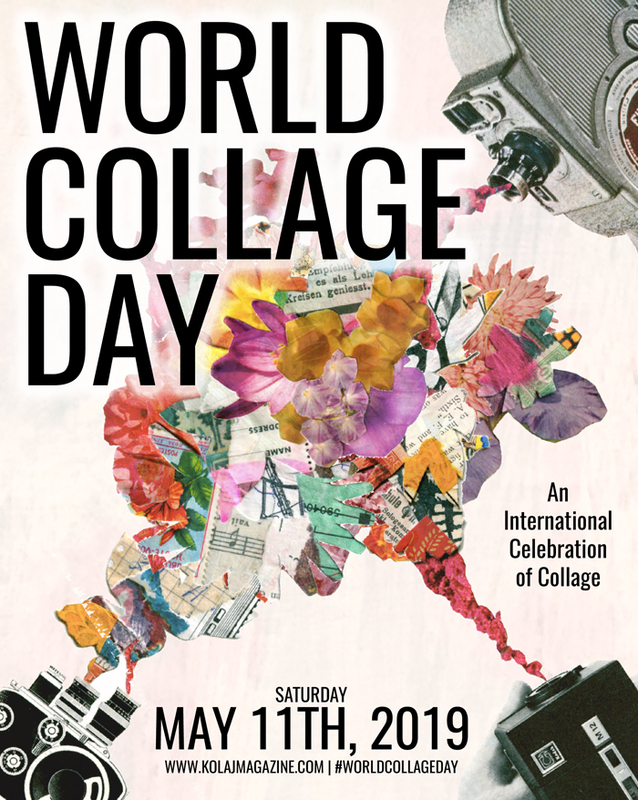 Danielle Cole’s collage making once led her to accidentally stalk famed Canadian writer Margaret Atwood. A nursing student from El Paso, Texas, Paulina Flores combines images of anatomy and religiosity in curious collages that combine eloquence and the grotesque. Benjamin DiNino will tell the story of inheriting a set of 1950s paint-by-number paintings from his grandfather and what happened when he collaged them. The women in Lybra Ray’s collages are having a good time. Her collages are about attitude. Jef Arnold sources his material, omnivorously, from waste baskets, flea markets, thrift shops, garage sales, bookstores, and sidewalks and then uses box-cutters and scissors to cut out images and swatches of color or backgrounds that he finds interesting, taking care to use “every part of the buffalo” for some good purpose. Jerome Bertrand says, “Collage art can be cleansing for both artist and spectator. It can make you laugh or relieve stress regarding a specific topic. It can be scary or unsettling, but it can also be holy in the sense that it unites individuals with visual references that comes together in a message of freedom.” Join us for their stories. Stay for the Karaoke. 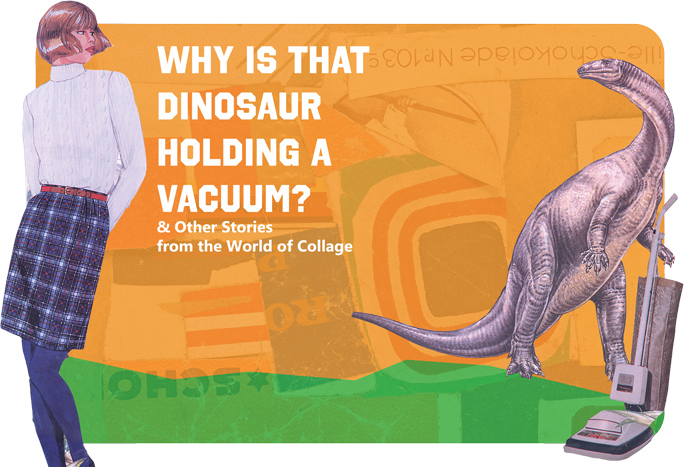 “Why Is That Dinosaur Holding a Vacuum & Other Stories from the World of Collage” is free and open to the public. 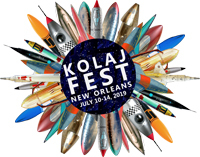 Visit the Kolaj Fest New Orleans website to learn more, see an overview of the program, and register to attend.